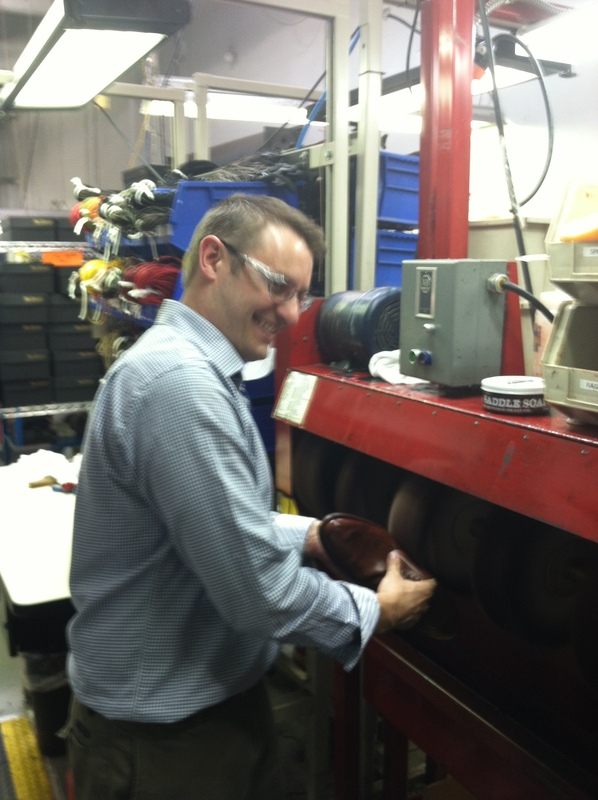 When I visited Allen Edmonds Shoes last September, I got a great tour of the plant. Bob Steffes, pictured above polishing my rather scuffed up Allen Edmonds shoes I was wearing the day of the tour, showed me how Allen Edmonds makes a pair of shoes from choosing the leather to the final polish. If you are ever in Port Washington, Wisconsin, stop in for a visit. Regardless of what tour you take, you are sure to see members of our extended American family making products we can purchase and use. So the next time you are going for a vacation somewhere in our great country, find out whether there is a factory tour you can enjoy during your visit! 1 Response to Step right up! My son has a Vermont Teddy Bear that he loves (and he’s 23). Great ideas!